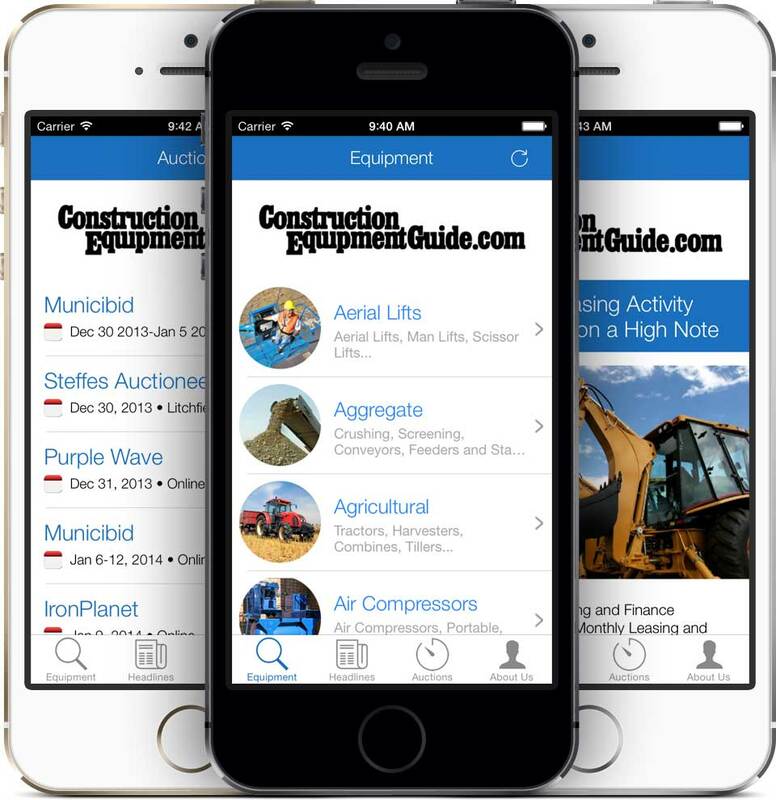 The resources of the Construction Equipment Guide website now available on your iPhone and Android phones. Use your phone to search and find all of the equipment you need. Full descriptions, photos and contact information are available for Construction Equipment Guide's full database of equipment. Read the latest headlines, search our archive of thousands of articles of industry news, and browse our auction calendar for upcoming auction dates. And with links to all of the auction sites, easily see what equipment will be at the auction.